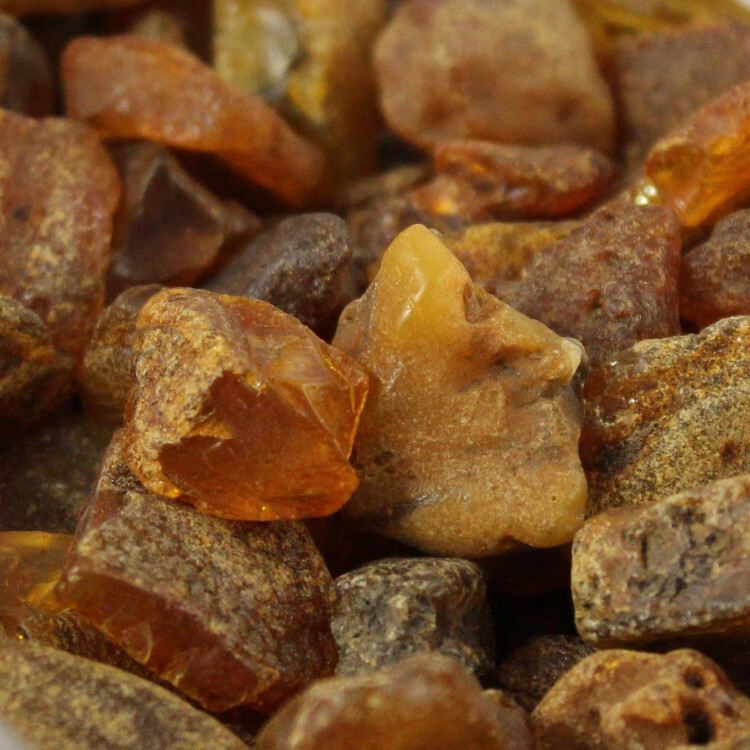 A parcel of smaller Raw amber pieces from the Baltic. The amber pieces range from around 15-35MM each. 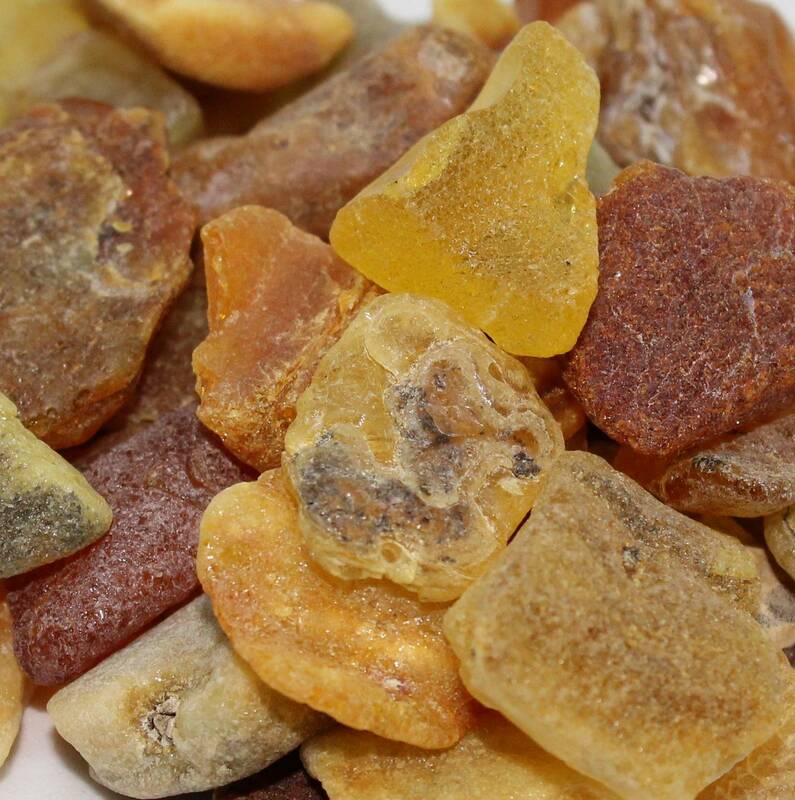 We sell a few different grades – you may find reds, yellows, orange, browns, honey, or butterscotch coloured pieces. 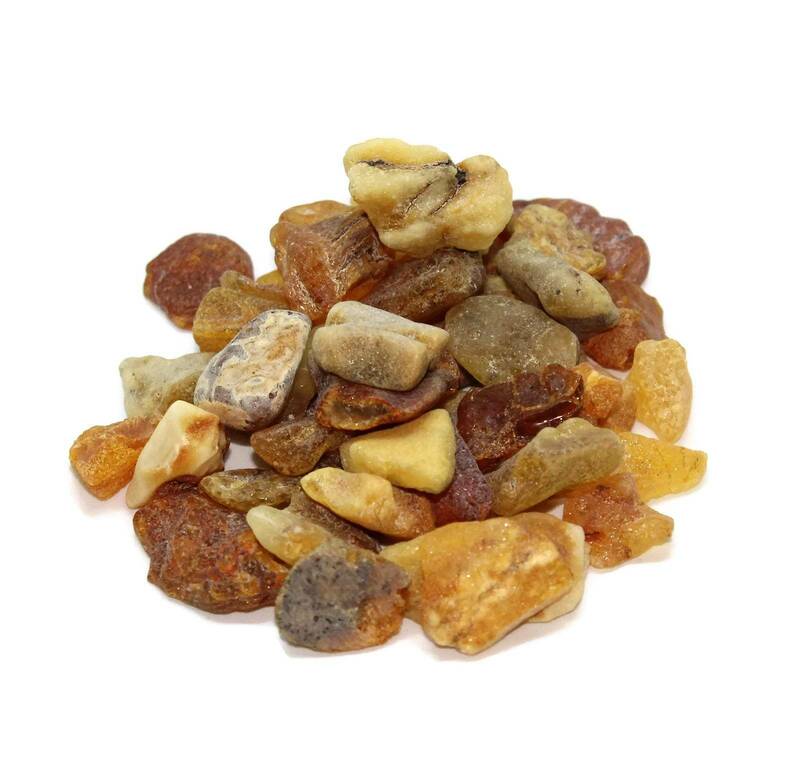 We currently offer rough Amber in packets of 10 grams – this equates to between five and eight pieces for the ten gram packet. 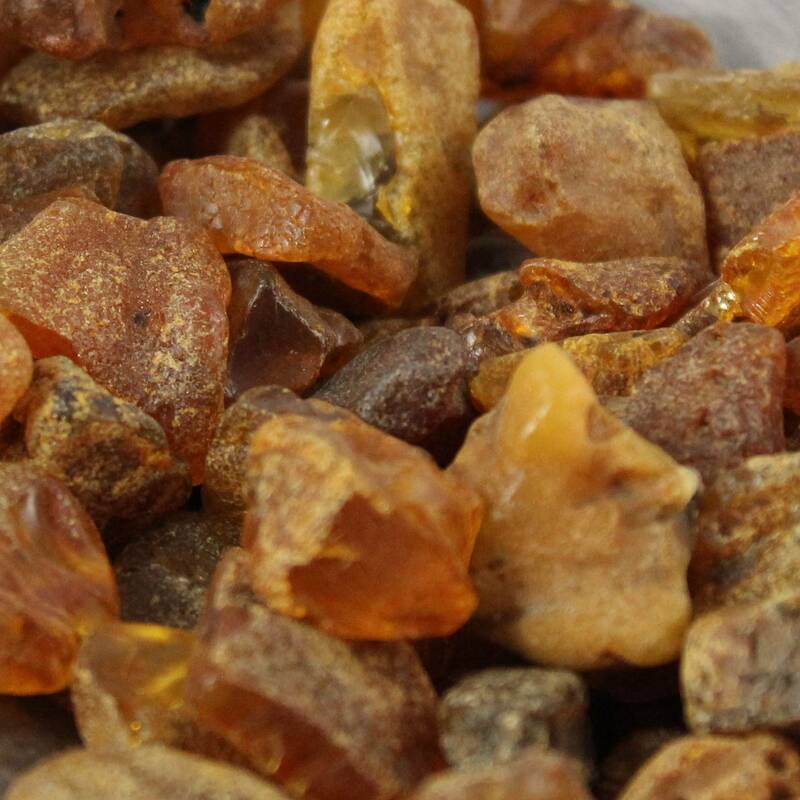 Our grading system for this Amber is simple – grade B pieces are included, cracked, etc but recognisable as orange Amber. Grade A pieces have less inclusions, and may be usable for pendants, rings, earrings, etc. Jewellery grade pieces – well, even I could cut a good cabochon from them. As few inclusions as possible, and good colours. Check out our YouTube video for a better idea of the quality of the grade B pieces we sell. 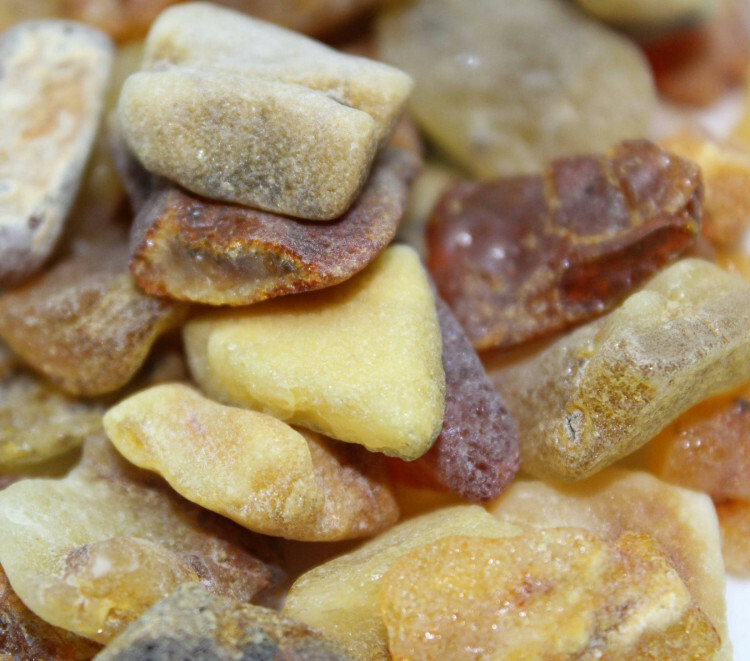 We can supply larger quantities of raw amber – please feel free to contact us. 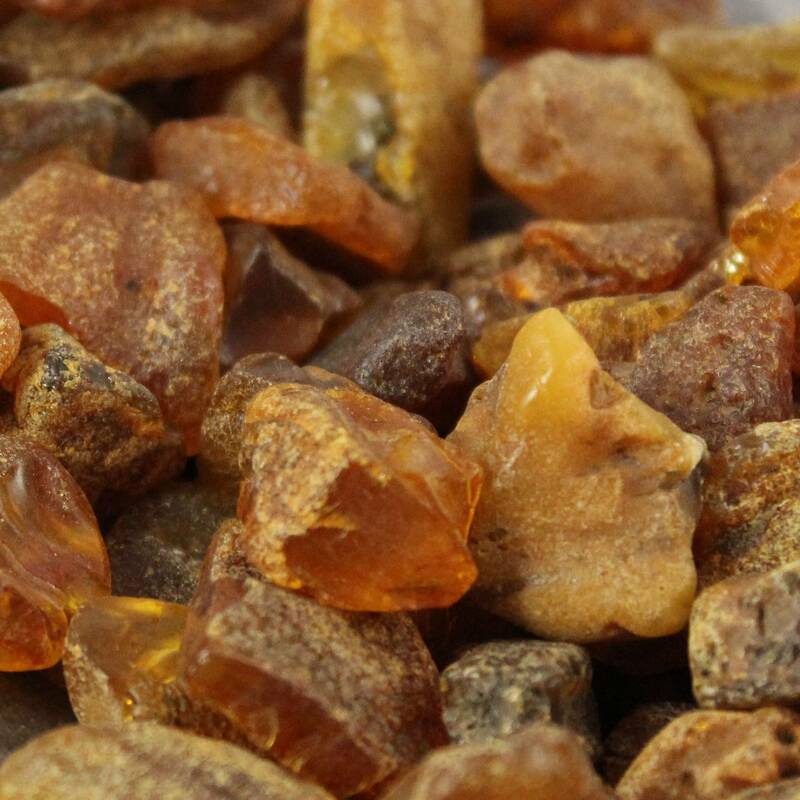 This type of raw Amber is sometimes known as rough amber, or Baltic Amber, due to the location it is found in. We sell a range of other Amber products, including raw and polished Amber. Our larger pieces are sold individually, and are not kept on the website after being sold – if there are none available, check back again soon. I received 60 Grams (2 x 30g packets) today and I’m very pleased with them. Although most I ended up with I doubt would be large or clear enough for anything other than raw beads, I am no expert. All I know is they are perfect for the Viking gemwork display I have in mind. Oddly, I also seemed to have received a piece of the budget Amber on top of this (Possibly Dominican? Also, Probably The same one pictured on the Amber page by the looks of it!) which would probably be far more suitable for cabochon work or the like due to its size and clarity. Still, absolutely brilliant for the price. Highly recommended for collectors.